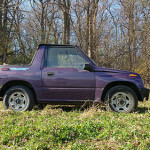 While there is plenty to love about our little Geo Tracker, there were a few things that needed some immediate attention. Like this ignition key situation. 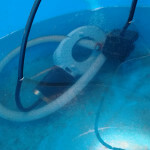 The tumblers on these particular ignition switches are prone to freezing up. 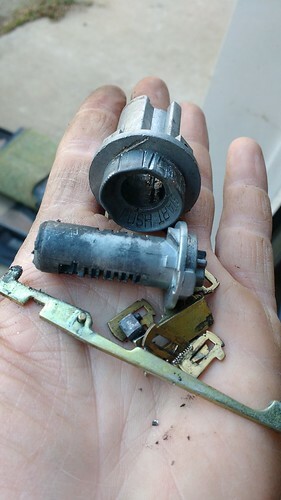 The intrepid previous owner just popped the switch off the back of the ignition assembly and left it dangling below the dash. You can start it with any key or similarly flat object. Not having a real key isn’t a huge problem for us, but futzing around under the dash every time you want to start and stop the Trucklet is a pain in the neck. I took a few minutes to yank the tumbler assembly out, remove all the pins and put it all back together so it looks stock. 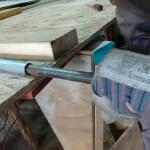 It still starts with anything remotely key-like (in our case a stubby flat-head screwdriver) but it’s all in the right place. Next up we tackled the four bald tires. My internet sleuthing told me that the biggest tire that I could expect to fit without a lift was 235/75r15, so I went on down to the tire store and asked for the most aggressive tire they had in that size. 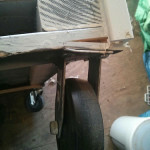 I was pleasantly surprised that they didn’t rub or otherwise require any fender cutting or rolling. The biggest change we instituted was to make a little truck bed in the back of the Tracker. 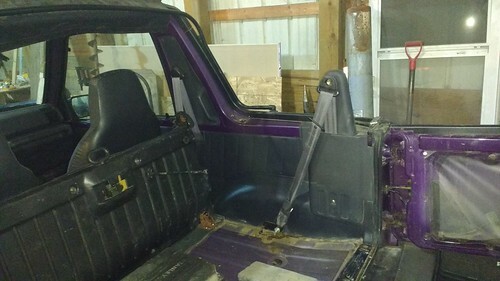 Trackers come with a little fold-able rear seat in the back. This is a rear seat in the same sense that a Honda CRX has a rear seat: only for children or double-amputees. The seat, carpet, seat-belts and canvas top all were stripped off the rear of the vehicle. 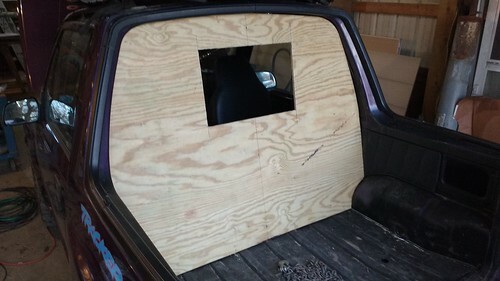 With a sheet of plywood and a lot of careful measuring and cutting we ended up with this bit to separate the front seats from our new truck bed. 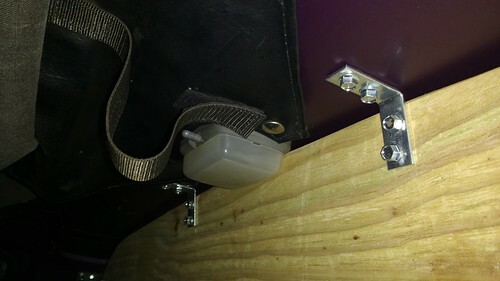 It was a pretty good fit, but we secured it in place with a dozen or so of these little “L” brackets just to be safe. 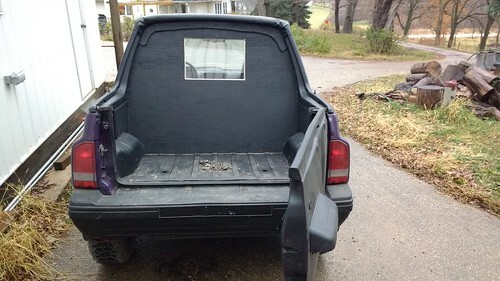 Add a sheet of lexan for a rear window, a few tubes of caulk and a few cans of truck-bed liner paint and you’ve got yourself a trucklet. The only thing it really needs now is a receiver hitch, but that’s a welding project for another day. Sweet mods! 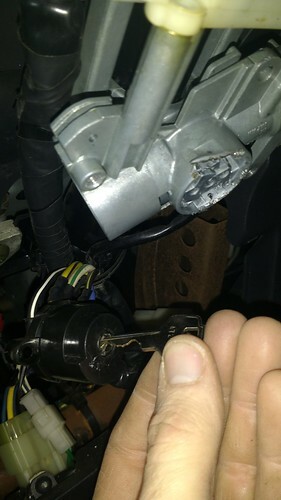 Our truck ignition was replaced with a door bell. It’s mounted on the dash, to the left of the wheel, which is a little wicker-shins, but works. I like the new wheels. I had a 4Runner that had that tire size and it was great. 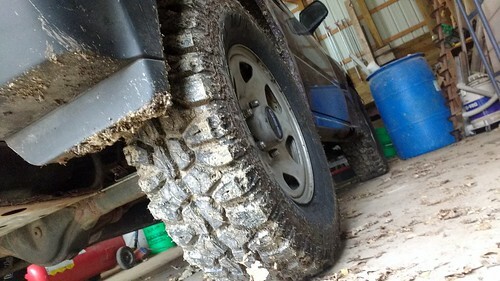 The BFG Mud Terrain TA’s used to have a little rubber ridge between the lugs, that was supposed to help clear mud out of the treads. We live in the PNW and its MUDDY lots. I know several guys who swore that they worked really well.